The six winners of this year’s Architectural League prize will display installations in Objective at the Sheila C. Johnson Design Center at Parsons School of Design, opening June 21. 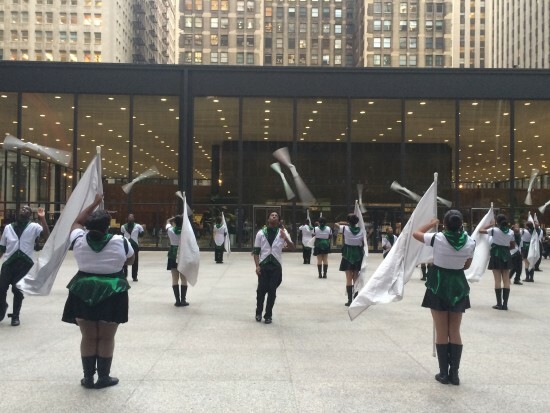 As visitors approach the entrance of the gallery, they’ll be greeted by an installation stretched across the window by Kwong Von Glinow partners Lap Chi Kwong and Alison Von Glinow. The pair is reproducing a scale, plywood model of their Table Top Apartments, a conceptual project of four-story modular apartments designed to address housing in New York City. 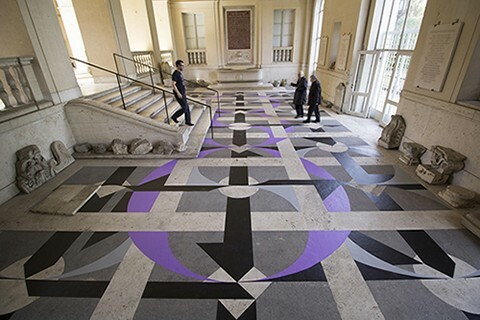 Along with a survey of past projects, Bryony Roberts of Bryony Roberts Studio will display a site-specific installation—a patterned wall vinyl that creeps from the wall onto the floor, continuing the work of her Marbles project which featured geometries inspired by the patterned stones of central Italy, such as medieval Cosmati floors. Dan Spiegel of SAW // Spiegel Aihara Workshop and Coryn Kempster of Julia Jamrozik and Coryn Kempster will each present new installations, while Anya Sirota of Akoaki and Cadaster partners Gabriel Cuéllar and Anthar Mufreh will present various models and studies from their respective projects. The Architectural League Prize has been recognizing young architects since 1981. This year, entrants were tasked with considering the contemporary state of objectivity in a post-truth world. Objective Sheila C. Johnson Design Center at Parsons School of Design 66 5th Ave, New York, NY 10011 Through August 4. The Architectural League of New York has announced the winners of its 37th annual Architectural League Prize for Young Architects + Designers, meant to highlight and foster up-and-coming architectural and design talent. 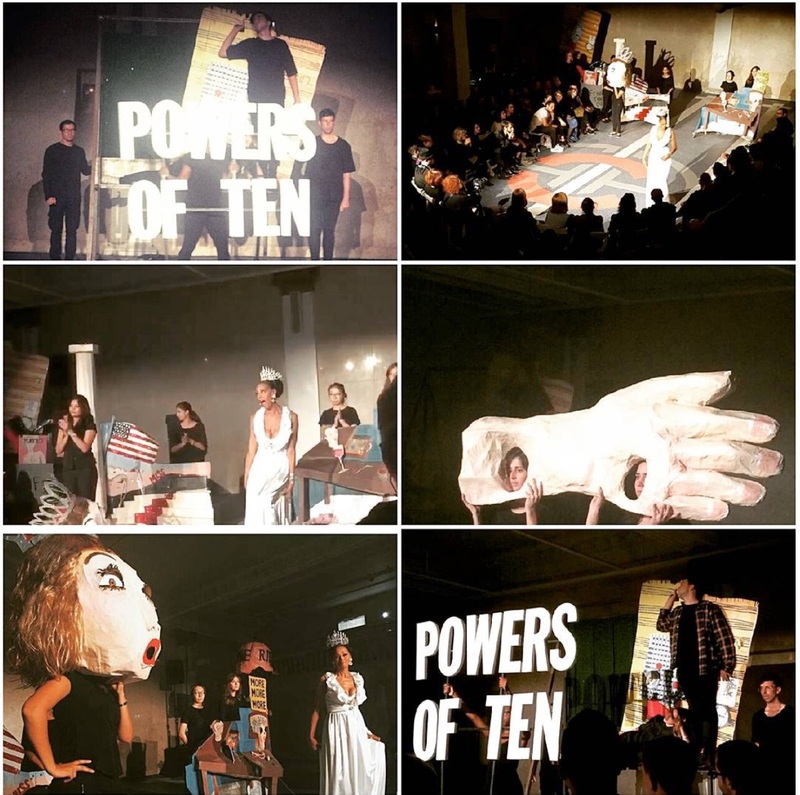 This year’s theme, Objective, asked entrants to examine the role of objectivity in today’s society when the notion is simultaneously elevated as well as undermined by technology, science, and politics. If we truly do live in a post-truth world, what does objectivity mean for architecture? The 2018 winners, decided through a portfolio competition, are as follows: Anya Sirota of Akoaki, Detroit Akoaki was cofounded by Sirota and Jean Louis Farges in 2008. 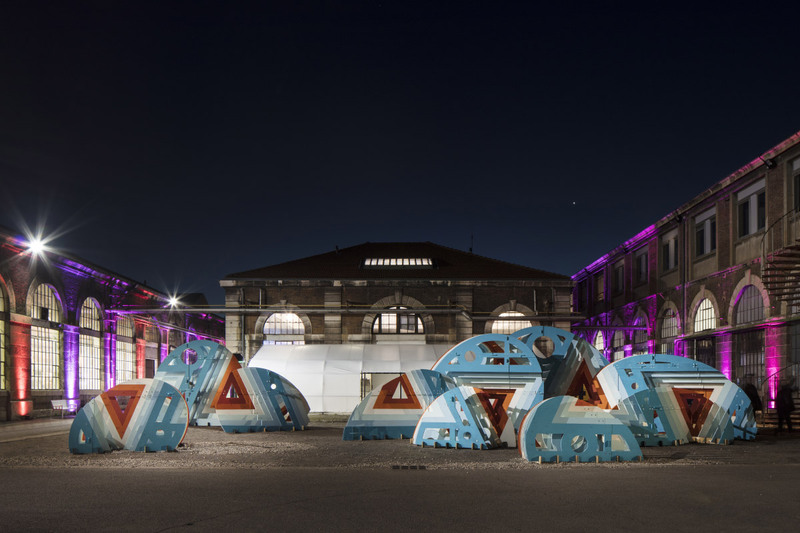 The Detroit-based architecture and design studio explores reviving urban spaces in their home city through the use of eye-catching temporary installations that encourage public participation. Some of their more otherworldly designs include a frost generator and a trompe l’oeil “red carpet” in Los Angeles. Sirota is an assistant professor of architecture at the University of Michigan’s Taubman College of Architecture and Urban Planning. 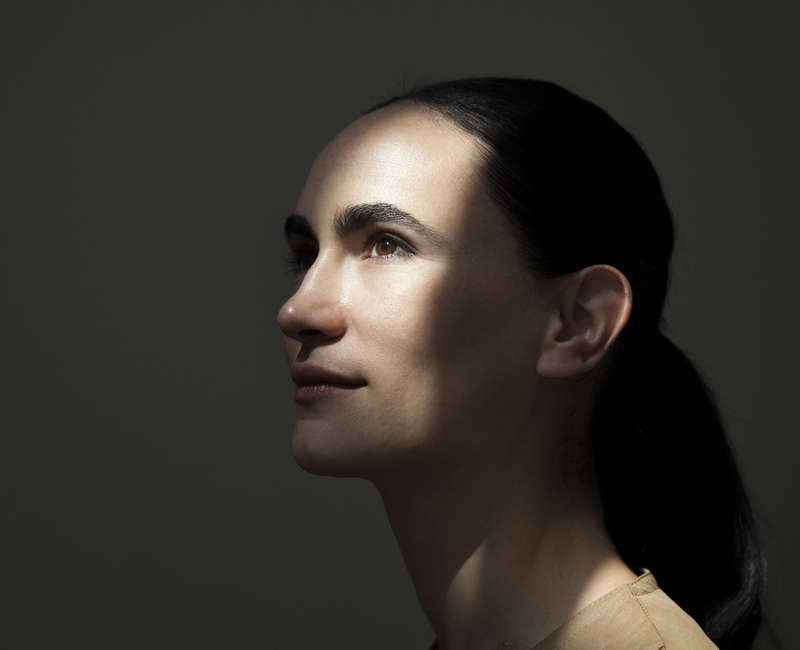 Bryony Roberts of Bryony Roberts Studio, New York Bryony Roberts is a New York-based research and design firm founded in 2011 that actively combines, art, architecture, and preservation. Bryony Roberts actively works to reinvigorate historical places with new life, and the firm has worked on everything from a series of marble tile studies to choreographing dancers in Rome. Roberts herself is an adjunct professor of architecture and preservation at Columbia University’s Graduate School of Architecture, Planning, and Preservation. Gabriel Cuéllar and Athar Mufreh of Cadaster, Brooklyn The Brooklyn-based Cadaster, founded in 2016 by Cuéllar and Mufreh, is an architecture studio whose work explores the cross-section between architecture and territory. Their most recent work includes the research project Subversive Real Estate: The Landholding Patterns of American Black Churches, and Upstate Ecologies: Regional Vision for the New York Canal System, the firm’s entry into the international planning competition for the future of New York State’s canal systems. Coryn Kempster of Julia Jamrozik and Coryn Kempster, Buffalo Julia Jamrozik and Coryn Kempster, cofounded by Kempster and Julia Jamrozik in 2014, focuses on the roles that experience and memory play in architecture. The Buffalo-based firm has built abstract play fields and super-efficient single family homes, but the same attention to detail and user interaction is found throughout their portfolio. Kempster is an adjunct assistant professor of architecture at the State University of New York at Buffalo. Alison Von Glinow and Lap Chi Kwong of Kwong Von Glinow, Chicago Kwong Von Glinow was founded in 2017 by Von Glinow and Kwong and operates out of Chicago. While still young, the architecture studio has already won plenty of recognition for its radical reinterpretation of forms, including its plans for a modular apartment tower in New York and community-centered apartment high-rises in Hong Kong. Kwong teaches as an adjunct professor of architecture at the Illinois Institute of Technology, and Von Glinow is a part-time professor of architecture at the School of the Art Institute of Chicago. Dan Spiegel of SAW // Spiegel Aihara Workshop, San Francisco SAW // Spiegel Aihara Workshop, co-founded in 2011 by Spiegel and Megumi Aihara, works at the intersection between architecture and urban design. Their portfolio spans everything from the front desk of the Casper office to a try-on truck for lingerie startup True & Co. SAW was also recently recognized with an AN 2017 Best of Design Awards for Young Architects. Spiegel currently teaches at the University of California, Berkeley, and California College of the Arts. The jury for this year’s prize was composed of 2018 Young Architects + Designers Committee, as well as Tatiana Bilbao, Jorge Otero-Pailos, Georgeen Theodore, and Claire Weisz. From June 21 through August 4, an exhibition featuring an installation from each of the winners will be installed at the Sheila C. Johnson Design Center at the Parsons School of Design / The New School, Arnold and Sheila Aronson Galleries, 66 Fifth Avenue. On June 21 at 7:00 PM, Gabriel Cuéllar and Athar Mufreh, Coryn Kempster, and Bryony Roberts will be giving lectures in the exhibition space. On June 22 at 7:00 PM, Alison Von Glinow and Lap Chi Kwong, Anya Sirota, and Dan Spiegel will be giving their lectures in the same location. The Architectural League has also announced the publication of Young Architects 18: (im)permanence, a collection of projects from the 2016 League Prize Winners. Inverting Neutra Neutra VDL House 2700 Silverlake Boulevard Los Angeles Through September 7 Artist Bryony Roberts’ new project Inverting Neutra is the latest installation inside the landmark Neutra VDL house in Silver Lake. 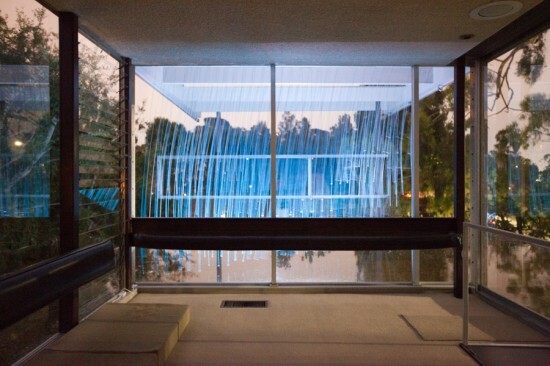 Roberts explores the landmark house’s many voids, filling them in with rows of blue cords hanging from aluminum frames; appearing to be a single system. And if you look carefully, the composition makes the house appear to respond to external conditions. The cords’ color gradients respond specifically to light conditions; and they also move in response to wind conditions, especially those on the roof. We recommend going on a windy day.